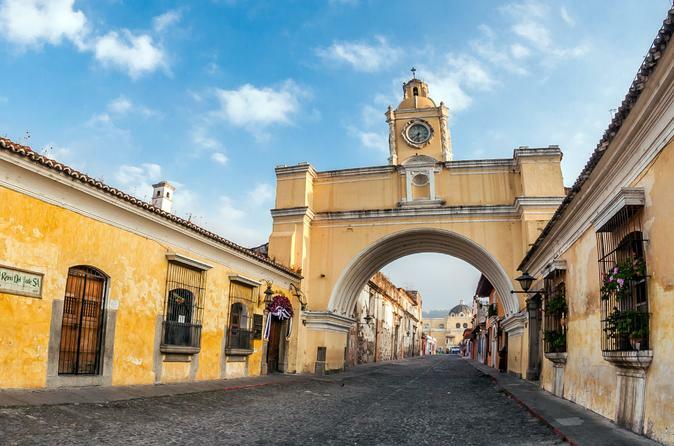 You will be picked up at your hotel in Guatemala City and transferred to Colonial Antigua Guatemala to begin your soft walking tour of Antigua. You’ll visit Central Park, Cathedral of Santiago, Arch of Santa Catalina and La Merced Church. At the end of the tour your will be transfered to Santa Teresita Hot Springs to enjoy a delicious lunch (Inlcuded). During the afternoon at leisure and relax in the Hot springs.